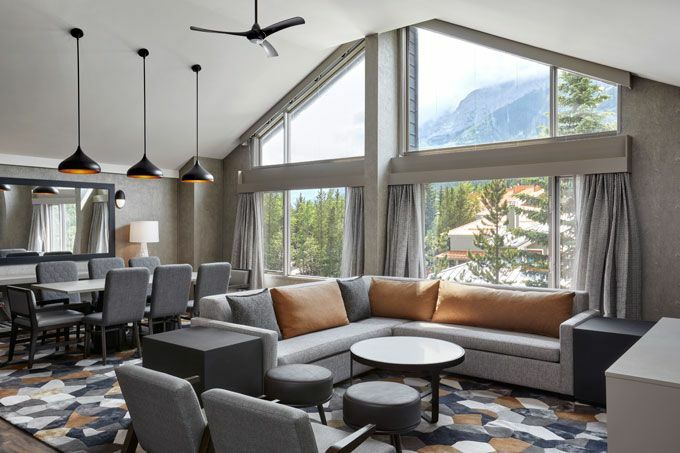 Marriott's Autograph Collection Hotels announced its fourth location in Canada with the opening of The Kananaskis Mountain Lodge at the foothills of the Canadian Rockies in Alberta. The Kananaskis Mountain Lodge features 247 contemporary guest rooms, suites, and lofts, many of which offer breathtaking views of the mountains. The design seamlessly blends high-end, modern luxuries with rugged mountain living, offering locals and travelers a convenient hub to escape into the solitude of the picturesque Kananaskis Valley and explore four seasons full of wilderness adventures, such as hiking, mountain biking, cross-country skiing, skating, and snow shoeing. The property has a wide range of family amenities and programming including the year-round KananasKIDS program. A completely renovated indoor/outdoor hot tub, fitness room, new waterpark and expansive new playground will be completed in Spring/Summer 2018 – a hot spot for families to indulge, relax and play. Also offered on-site are full-service conference, meeting and wedding facilities with over 18,000 sq ft of space and 21 rooms to choose from.